Yangyuan County Zhongxin Fur Co., Ltd.
We can make dyeing follow customer's Pantone color or color swatch. Dedicated worker for packing with the second worker review to ensure give the right and high quality product to customer. Q5. What is the estimated time of the bulk production9 A: 20-40 days after receive the payment, and depend on your custom option. Customers can easily select the materials according to the samples and color cards. It helps to manage the sample and production quality as well as the schedule. We sincerely hope our clients at home and abroad to call and visit us for business cooperation . Except: if your design or custom made size , color, we cannot accept change or refund. So we have won markets and got customers' good reputation home and abroad. We have professional staff giving you explanation based on your questions. 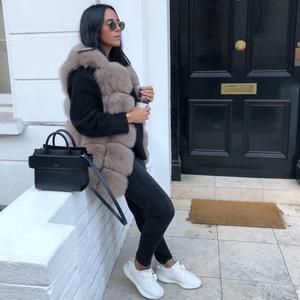 model new lady winter england style rabbit fur vest with raccoon fur collar wholesale description rabbit&raccoon fur model no. we are a manufacturer of fur balls with well-equipped testing equipment and strong technicalforce. 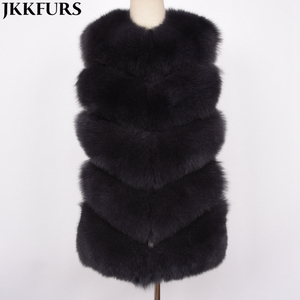 We are specialized in designing and manufacturing real fur products. 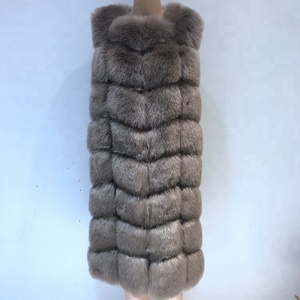 We mainly produce fox fur,mink fur,rex rabbit fur,all kinds of real fur products. We can provide customers with excellent products, compective prices and good services. Product Overviews This sherpa vest is much have for F/W. 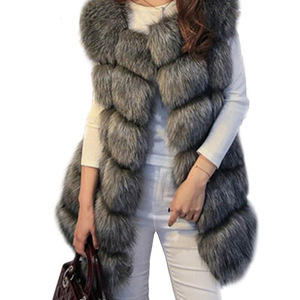 5 american size, S,M,L,XL,XXL, custom size is Detailed Images Factory sherpa vest as following pics: More color of sherpa vest Grey color of fur vest Customer reviews Lead time overviews Generally, take 2-10 days to purchase faux fur, and 2-5 days to make items. 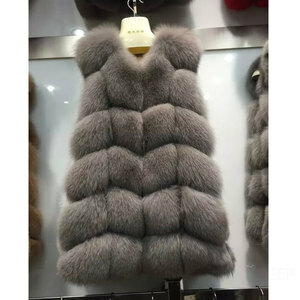 Factory tour Specification of fur vest Item name FACTORY sherpa vest Item No. 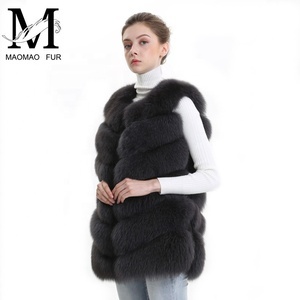 hot product factory wholesale fluffy and soft long real blue fox fur vest style no. welcome changes on our designs; s ize, color and fabric can change as your request. 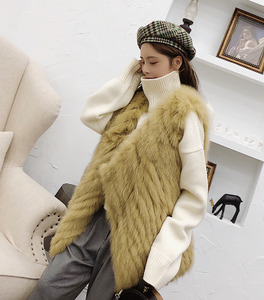 model stylish fox fur with mongolian sheep fur tassel waistcoat animal fur ladies vest dress escription with the fox and sheep model no. we are a manufacturer of fur balls with well-equipped testing equipment and strong technicalforce. 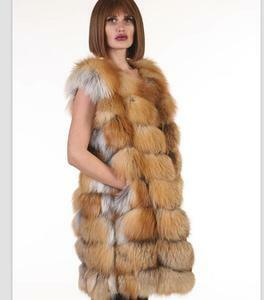 Alibaba.com offers 18,082 fur vest products. About 51% of these are women's vests & waistcoats, 17% are women's jackets & coats, and 14% are animal fur. 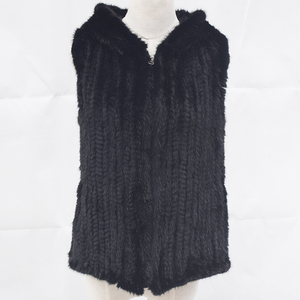 A wide variety of fur vest options are available to you, such as woolen, worsted, and velour. You can also choose from 100% polyester, nylon / cotton. As well as from men, women. And whether fur vest is free samples, or paid samples. 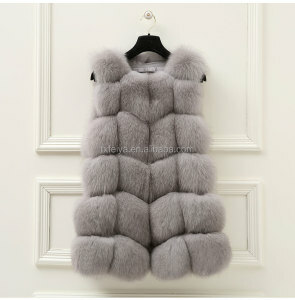 There are 18,069 fur vest suppliers, mainly located in Asia. The top supplying countries are China (Mainland), Pakistan, and Greece, which supply 97%, 1%, and 1% of fur vest respectively. 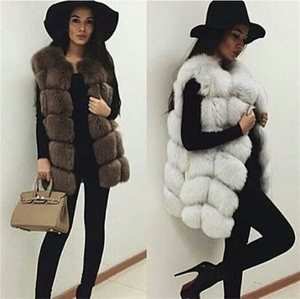 Fur vest products are most popular in Western Europe, North America, and Eastern Europe. You can ensure product safety by selecting from certified suppliers, including 799 with Other, 174 with ISO9001, and 123 with BSCI certification.